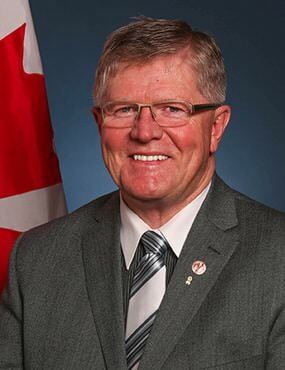 TheGunBlog.ca — Canadian Senator Tony Dean said today on Twitter he’s “unimpressed” by recreational shooters who worry about being disarmed as he promotes Bill C-71 as a law to take away their guns. Update Feb. 8: The comment drew the most replies of any tweet by Dean, after TheGunBlog.ca shared his post on Twitter (@TheGunBlog) and published this article. He responded on Feb. 8 with a new tweet. Bill C-71 aims to prohibit and eventually confiscate rifles from as many as 15,000 plinkers, competitors, hunters, farmers and collectors. It will make it harder to buy and own firearms, will require special police permission to get handguns and AR-15 rifles fixed, and will create ways to easily prohibit any gun. Dean was one of the first to speak in favour of the bill after the Senate began its review on Sept. 25, less than a month after the government said it’s exploring a “full ban” of more than a million guns owned by recreational shooters. Senator Tony Dean. Source: Senate. “As firearms regulation Bill #C71 heads to a Senate Committee I’m unimpressed by the factions of the ‘recreational’ firearms community who worry about being ‘disarmed’ and those who advocate for more access to handguns in the interests of public safety,” Dean said today on Twitter. Firearm licensing and ownership have risen to records because of Dean and other police-approved shooters, one of the safest and most lawful demographics in Canada. Many recreational shooters have better firearm training than some of the almost 100,000 police and others who carry loaded guns every day for personal and public protection. Hunting is at the core of Canadian heritage, and target shooting is one of the country’s safest and most popular sports. More men and women have a gun licence than play golf, hockey, football, or who ski. All firearms are banned under threat of prison unless you have a permit authorized by the federal police. Dean had 121 replies to his initial tweet as of Feb. 8, a record high since his account was created in May 2013, including while he was the senate sponsor of the government’s high-profile cannabis bill last year. The responses were mainly critical. Many of his Twitter posts get zero replies. PolySeSouvient, which promotes the confiscation of guns from recreational and competitive shooters, retweeted Dean on the morning of Feb. 8. David Miller, who forced target ranges to close when he was mayor of Toronto, also reposted. Blake Brown, a prohibitionist professor, shared Dean’s comment on rights. Retweets often signal agreement, but not always. TheGunBlog.ca also occasionally retweets, “likes” or replies to Dean. Several concerned gun owners e-mailed elected and unelected politicians and bcc’d [email protected]. 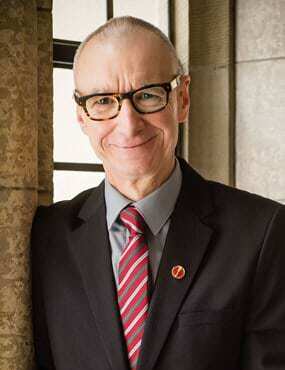 Last week Dean challenged Senator Don Plett on Twitter after Plett told the Hill Times newspaper he and his colleagues in the opposition Conservative Party will “do everything short of gutting” Bill C-71. Plett last month revived the Twitter keyword #KillBillC71. Oh. So @TonyDean_TO hasn't looked at the evidence. That explains a lot. of gutting this bill completely, because we cannot accept any of this,”he said. View all of Dean’s tweets mentioning guns here. TheGunBlog.ca’s full coverage of Bill C-71 is here.